I have updated my vanilla forum to 2.5 and upgrade to VPS to a web cloud server. Our cloud server contains 2GB RAM and my forum is not really a large traffic forum. Seems one people access the forum, it will consume 512MB. It is nonsense if the forum can just hold 4 people with 2GB RAM. Is 2GB RAM enough to hold vanilla forum? Or is there any methods to minimize or force down the usage on RAM? The server hosting company suggests me to review the index.php of vanilla forum. But I haven't do much edit on the index.php. Do anyone know what is the problem and how to solve it? you don't appear to be running using apache2 mod_php, which is more efficient than CGI SAPI, and php will essentially need to go through a start up sequence each request rather then have php running within the web server. I wonder how fast it is for you to request a simple hello world php script. Though to be honest nginx php-fpm is even faster. clearly something is not right. best check your server logs to see how many actual request you are getting, to where and btw which IP. There can be a cumulative effect on performance. SO if you are being bombarfeded with request you need to know why. What addons are you using? server hosting support depending on the host can be notoriously poor, especially it is one of those whose prime business is cheap shared hosting, and they push you to do a poor deal "upgrades", when you re better off moving to a host that specialises in what you want. Unless you are are paying for a fully managed package, you need to some server management skill to run a site successfully. if it is really the case the four request or four normal user is using that much memory then you need to change host ASAP. I wonder however if there are other script involve stuck in a loop, or if you are using some polling script, where people may leave tabs open. these are all ideas, but it is anybodies guess, the support should have at least looked as the logs for prevalence. Our forum runs on 512mb RAM quite happily, so it isn't an issue with Vanilla needing more RAM. As x00 says, it is to do with your server set up. I have tried both mod_php and php-fpm, the issue was still existed. We also hosted another websites on this server. But our RAM(only 1GB) is enough with VPS (the previous server). We have check the RAM usage, 1GB is being used, 1 GB is for buffer. I wonder if the cloud server really consumes more RAM. 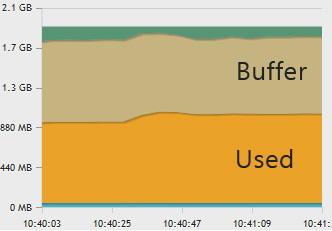 One more thing, if we start php-fpm, it will consume more RAM and we will receive more notification about excessive resource usage. this will show you which processes are running and the consumption. how large is your activity table btw?